As you know I'm completely clueless about smart content. 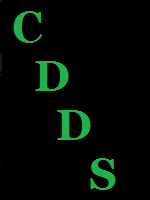 However, I do use the add Category on the smart content tab, in fact I am in the process of reDIM-ing all the content I had created before this feature was added to CDDS. I can understand why you can't really add smart content in bulk since every asset is unique, however, for those of use who use categories rather that smart content would it be possible to select a category as part of the batching process that would add the category to the manifest? For example I want to batch DIM all my "Hair" assets and I want to add the category "Hair" to them. Then I could do the same with all my poses, or vehicles etc etc. This would be such a huge time saver for me, and for anyone who is batching DIMs and uses categories rather than smart content. enough to take the time to do it. Hmmm, while it would really useful to me I doubt there are many others out there that would. I am waiting for the newest update to DRAMA from Math and there may be a way to do what I want using the DRAMA database rather than CDDS. I thought of CDDS first because the categories would become part of the asset itself so no matter how badly something was misfiled it would always install in daz to the custom category I wanted. However, after weeks of playing with the smart content tab in CDDS I can't bring myself to the believe I will actually add categories to the smart content to 2K+ individual DIMs. This reorganization project of mine is coming up on 2 years now, and at some point I want to actually use my assets lol!! I also thought perhaps Math could have DRAMA parse CDDS dims and pull the category information out so assets would be automatically categorized when I imported them into DRAMA. That said, maybe I can do something similar but in reverse. It faster to categories in DRAMA, so once Math puts out the next update I'll see if there's a relatively painless way transfer that data over into CDDS so it's included in some form or another with the DIM.